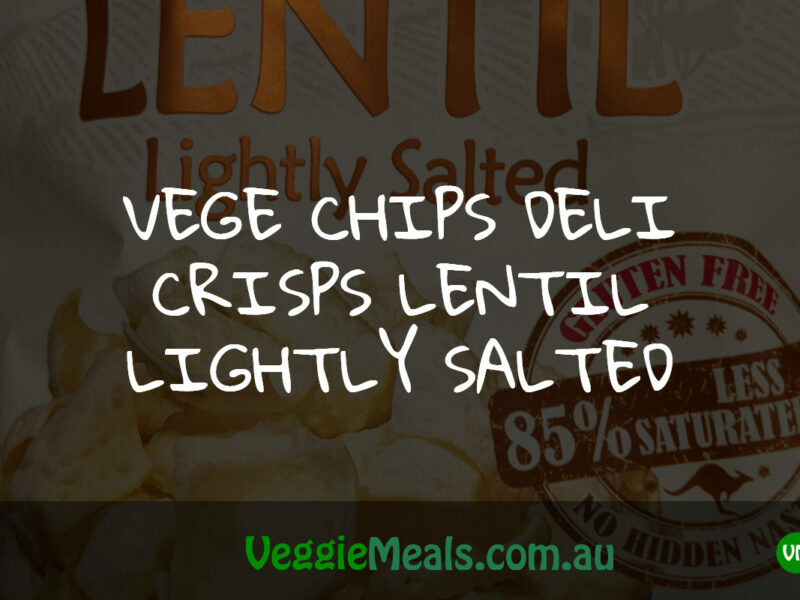 If you love snacking here’s a Vegetarian and Vegan product we just tried the other day – it’s called Vege Chips Deli Crisps LENTIL chips with lightly salted flavour. 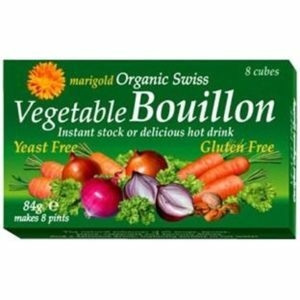 It’s Gluten Free and has 85% LESS SATURATED FAT with no hidden nasties. It’s an Australia Made product and as the name suggests, it’s made out of lentils. For those of you who don’t know what Lentils are the packet gives this explanation: “Lentil grown on a bushy annual plant of the legume family. Lentils have been consumed by people in Asia for over 10,000 years. Canada is the largest export producer of lentils in the world.” There you go, you’ve learnt something new today. 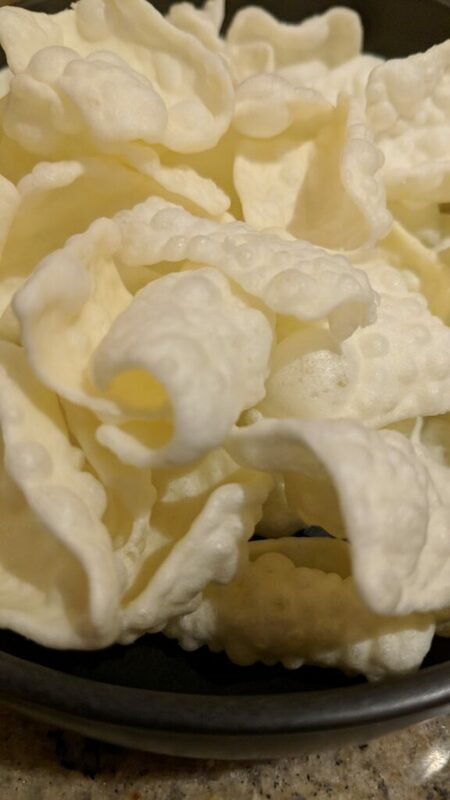 When we first tried it we thought we were just eating “thick paper”, it was bland – there was no real taste to them. My daughter even mentioned, “It’s like eating nothing”. 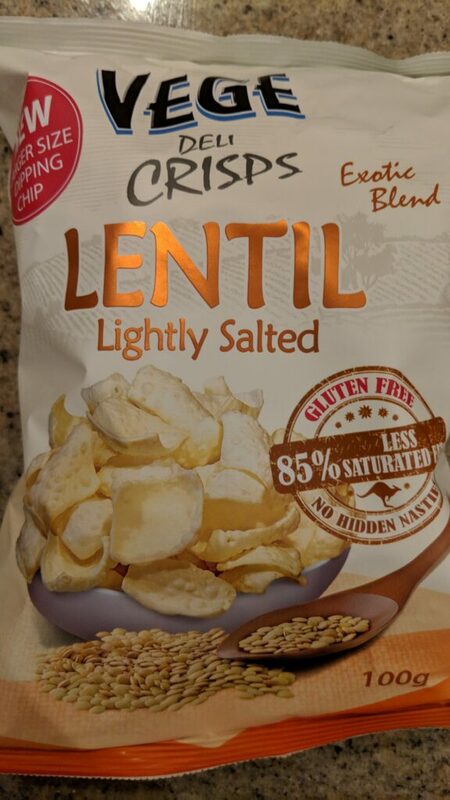 But that’s one of the good things about this Lentil chips, when you know there’s not taste it means there are NO artificial colours, NO artificial flavours, NO artificial preservatives, NO nuts, NO SOY, NO Eggs, NO GM ingredients and it’s Gluten Free (meaning it’s REALLY HEALTHY). The total fat per servings is only 4.0g, whilst some other brands of original chips has 15.7g of fat. 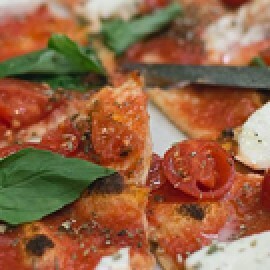 From a health perspective, there’s a good reason to sacrifice the taste for the amount of fat. For those that have allergies, this is the perfect chips and you can even use them with your favourite dips. So go on, try them out and remember everyone has different preferences on taste so there will be some people who may not particularly like the ‘no flavour’ taste but some are willing to sacrifice the taste over their health.